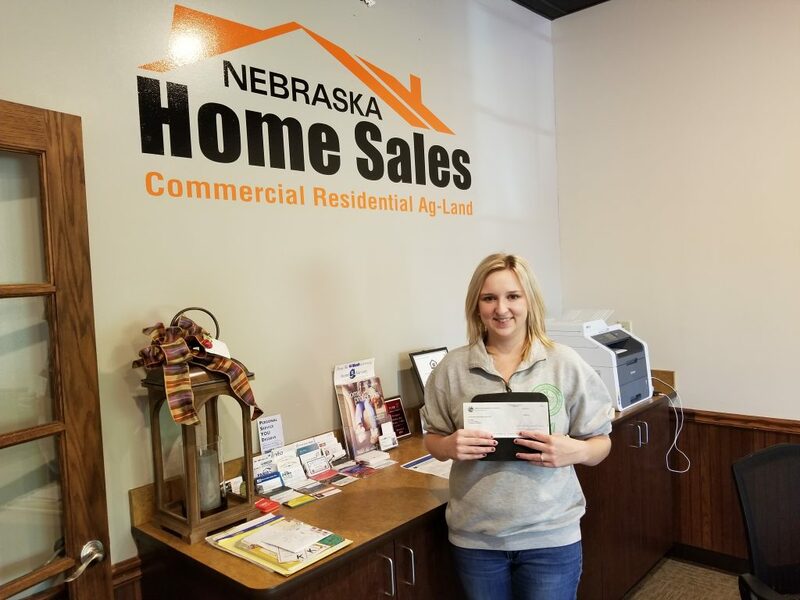 On September 20th, Kelly Kiser-Mostrom of Nebraska Home Sales in York, presented Erin Blum with a check for $250 from the Nebraska REALTORS® Association Home Buyers Assistance Foundation. HBAF is a nonprofit organization with a mission to increase affordable housing in Nebraska. They award a $250 grant to selected 1st time home buyers to assist in maintaining home ownership. In order to qualify, recipients must complete homebuyer education, must close within six months of completion, and use the services of REALTOR®.